Kate Blickenstaff Poats is proud to say that she was born and raised in Lynchburg. She is a graduate of The University of Kentucky where she earned a Bachelor's degree in Business Marketing from the Gatton School of Business. Real estate is not only her passion, it’s also a family tradition as her mother, Jane, has been one of Lynchburg's top agents for over 30 years. Kate is committed to carrying on the Lynchburg legacy at Blickenstaff & Company Realtors, and feels very fortunate to work so closely with her mother. In less than six years, Kate has established herself as one of Lynchburg’s top producing agents - closing over $30 million in sales. Kate is happily married to her high school sweetheart, Will. They both love living and working in Lynchburg and have a passion for giving back to the community. 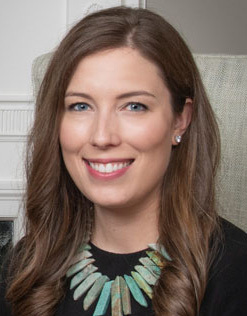 Kate is proud to be a member of several volunteer organizations including the Junior League of Lynchburg, where she has the opportunity to engage with other community leaders and help make Lynchburg a better place to live. In addition to helping families buy and sell homes, Kate enjoys spending time with family, friends and her mini-goldendoodle, Lewis. Kate joined Blickenstaff & Company to serve her clients who expect and demand the exacting level of service that she and the company provide. Kate believes it is her strong work ethic, positive attitude, and attention to detail that sets her apart. Kate is armed with both the knowledge and experience to be an effective realtor representing both buyers and sellers.